Ready for the mountain? 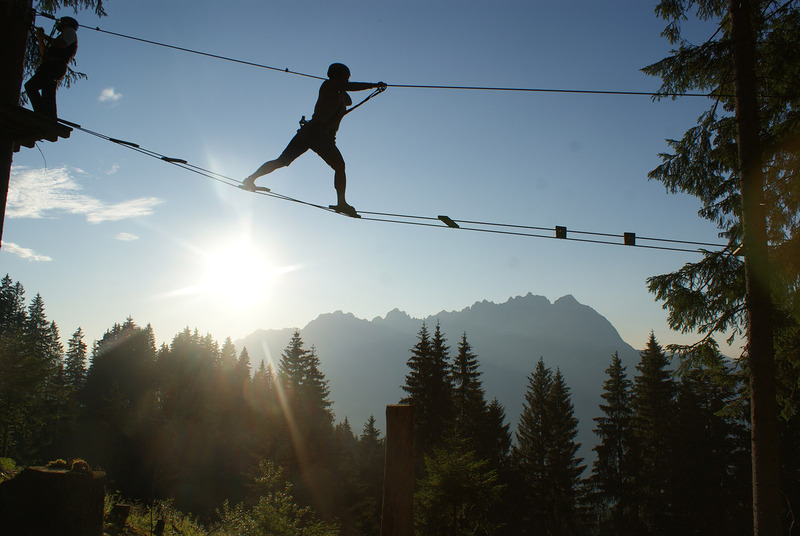 Up into the adventure! 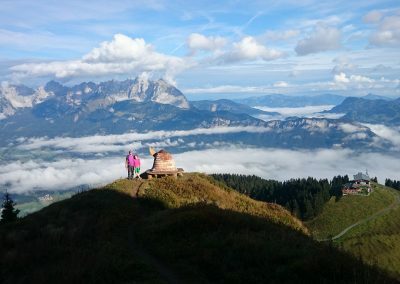 Mountains are powre places of nature. The ideal place to take a break and escape everyday life – enjoy nature together with a good meal. 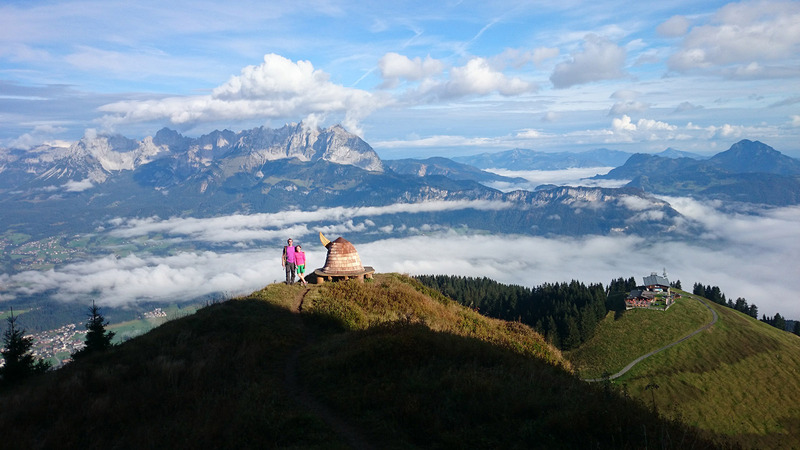 Recharge your batteries on the numerous hiking trails, for example through the owl forest around the north side of the Kitzbüheler Horn, track down interesting hiding places while geocaching, or hunt down 28 animal targets on the 3D archery course. 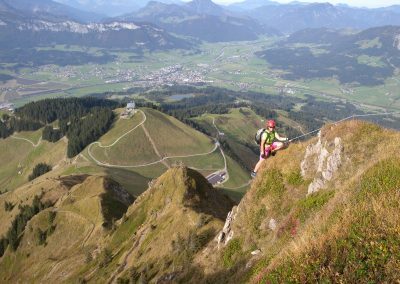 Face your personal challenge on the steep path to the top of the perfectly located via ferrata, or hovering with the gondola above the mountain. 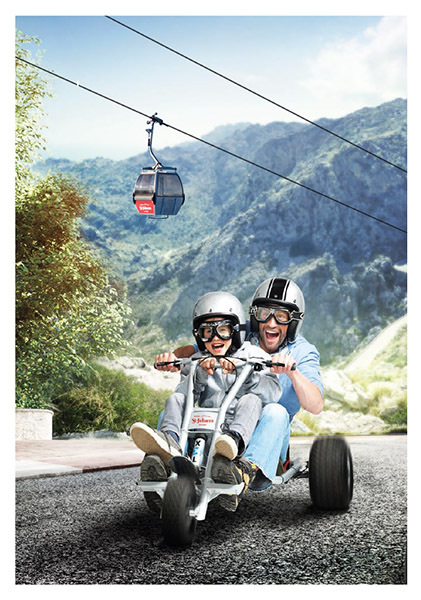 Race down the valley from the middle to the valley station with the new funsport device: The mountain cart. 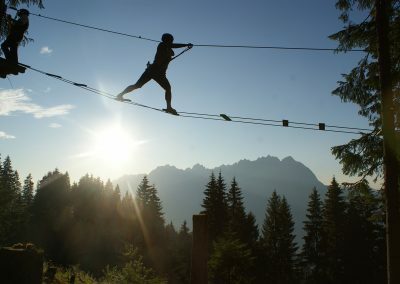 You can race down on the specially created 3.8km race track or the new 4.8km long nature single trail, which leads in great curves through the forest, on board trails over swampy meadows, by ramps and waves into the valley. 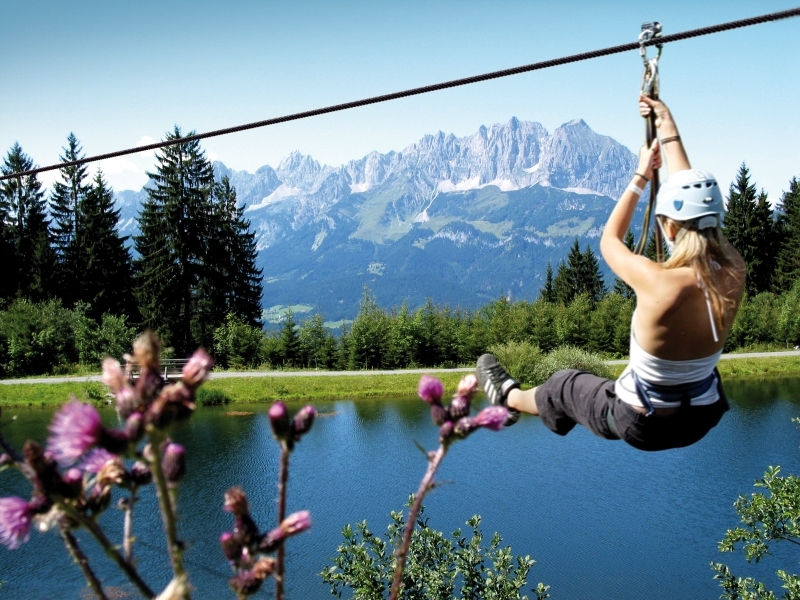 At the middle station is the Hornpark, the largest adventure park in the Kitzbühel Alps. 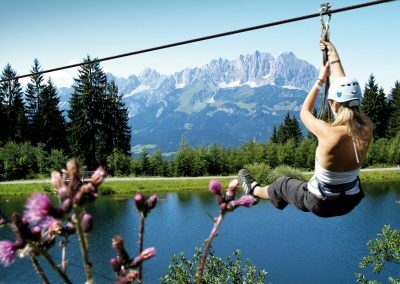 It offers a Flying Fox over the mountain lake and various courses with 85 elements through the treetops – an exciting experience for the whole family. 19th – 22nd May, 26th and 27th May, from 31st May all through until 30th September 2018.